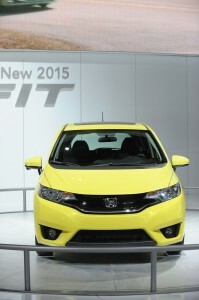 Honda is celebrating the production start of the redesigned 2015 Fit at its new Honda de Mexico automobile plant. Thanks to the plant’s advanced technology, Honda believes it can significantly improve its ability to meet consumer demand for fuel-efficient subcompact vehicles. Honda is expanding its Mexico production facility in anticipation of the 2015 Fit. The plant, which was constructed starting only two years ago in Celaya, Guanajuato, will employ 3,200 associates with an annual capacity of 200,000 vehicles and engines when it reaches full production capacity later this year—increasing Honda’s annual automobile production in North America to about 1.92 million units. This also means that Honda will now be producing more than 95% of all its vehicles in North America compared to the 90% that it does now. A new water-based painting process reduces energy consumption during the painting process by about 40% while enhancing paint finish quality. And these are just a few of the improvements! The all-new 2015 Honda Fit will go on sale later in spring 2014 at Avery Greene Honda! 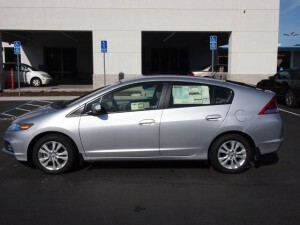 The Insight is one of 4 Honda cars named greenest by the ACEEE. The 2014 Civic Hybrid scored a fifth place ranking on the Greenest Vehicles of 2014 list thanks to its ability to return 44 miles per gallon city/47 mpg highway; the Civic Natural Gas and its 27 mpg city/38 mpg highway took ninth; and the Honda Insight ranked 10th with 41 mpg city/44 mpg highway. The vehicles totaled respective Green Scores of 55, 54, and 53. The Honda Odyssey, meanwhile, scored a “Superior” class ranking in the Minivan category with a Green Score of 36 earned from 19 mpg city/28 mpg highway. 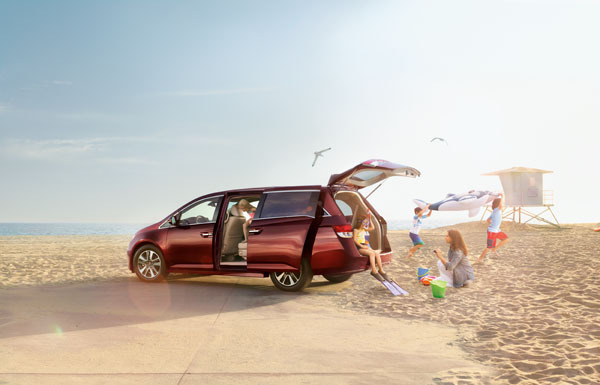 With Honda’s vehicles routinely making multiple appearances on ACEEE’s 12 Greenest Vehicles list (this year’s honor marks the sixth-straight such occasion), why not come down to Avery Greene Honda to see for yourself what makes Honda vehicles among the most efficient on the road today?